"Turn off the lights and run upstairs? Not anymore!" Developing or renovating your basement is a great way to add priceless additional space for your family not to mention value to your home. There are so many options now to make your basement just as comfortable and appealing as the rest of your home. You can add a feature fireplace as your focal point, there are a variety of different types depending on your needs and restrictions. You can add that extra bathroom that will make everyone's lives easier, as well as a custom office space or additional bedroom. 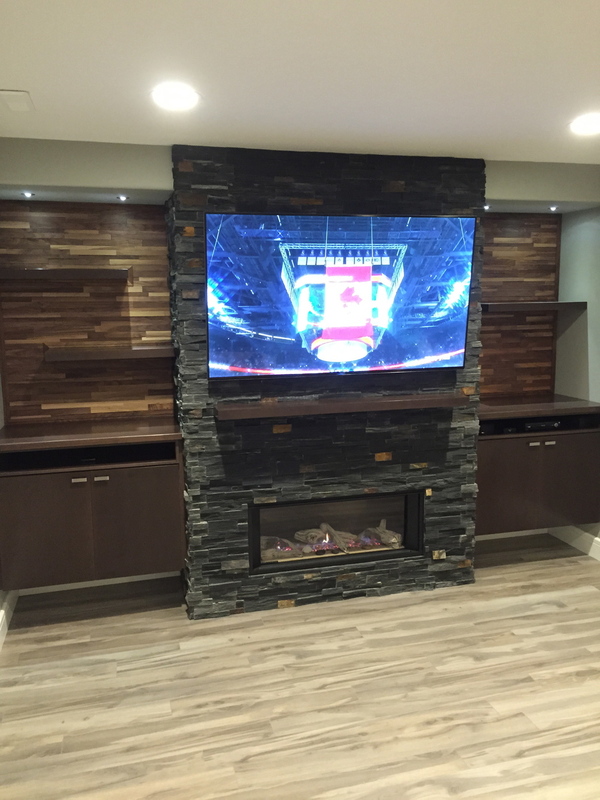 Alchemy Renovations will help you turn your basement into a space you love to be in. Our journeyman electrician is a pro at installing a wide range of lighting options that will make you forget you are downstairs. We love being a part of making your basement into a living space with custom storage and shelves, an irresistible tv lounge, or a wet bar and entertaining space that is the envy of your friends.